AKA Paul Collins Broun, Jr.
Won a special election on 17 July 2007 to replace deceased Congressman Charlie Norwood. In November 2008 he compared then President-Elect Barack Obama to Adolf Hitler, and he has bragged that he was the first member of Congress to label Obama "a socialist who embraces Marxist-Leninist policies." In August 2009 he said at a town hall meeting that Obama, House Speaker Nancy Pelosi and Senator Harry Reid are plotting martial law for America. "God's word is true. I've come to understand that. All that stuff I was taught about evolution and embryology and Big Bang theory, all that is lies straight from the pit of hell. And it's lies to try to keep me and all the folks who are taught that from understanding that they need a savior." 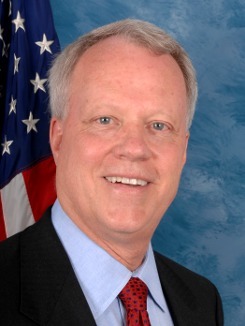 Broun is a member of the House Committee on Science, Space and Technology.